We've taken the classic Shaker style and made it our own. Not only is Ralph great looking, it's got storage too, giving you extra space for your books and magazines. Ralph is full of surprises. Not only does this beautiful table have a good sized surface, it also has a drawer underneath. 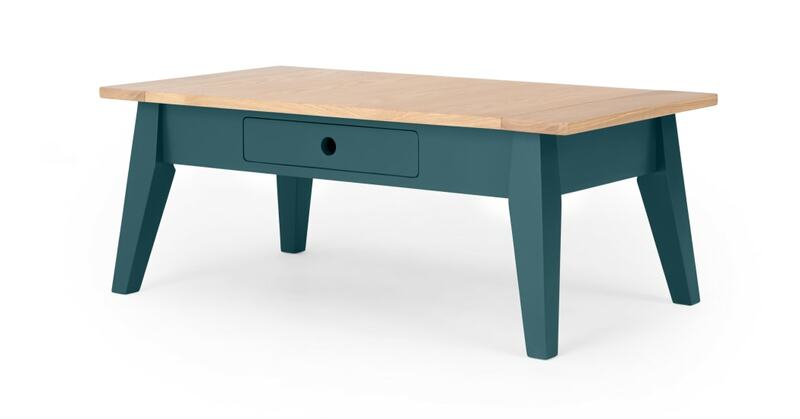 The classic wood top is contrasted with deep teal legs, bringing a contemporary and understated edge to this multi-functional coffee table.